Editor’s note: In an oversight, Current’s Election Guide, published May 5, for the upcoming primary election May 8, left out the Hamilton County Commissioner District 1 race in its print editions of Current in Fishers, Current in Noblesville and Current in Westfield. While District 1 represents Carmel, the seat is voted on by the entirety of Hamilton County. Christine Altman and Matt Milam are the contested Republican candidates in the race. See more about each candidate below. Further, the U.S. Representative (District 5) race inadvertently omitted six local Democrat candidates. Their profiles are listed below. The 2018 Primary Election is Tuesday, May 8. Hamilton County polls open at 6 a.m. and close at 6 p.m. To check voting status, find polling location and check precinct, visit indianavoters.in.gov. Voters must bring a photo ID with them to cast their vote. Otherwise, voters will be issued a provisional ballot. Early voting ends at noon, May 7. Personal: Christie is married and has four young children. Background: Christie earned a bachelor’s in chemistry and a bachelor’s in biology with a minor in mathematics from Purdue University. She began her career as an environmental scientist working for nine years as an environmental chemist and outdoor educator while organizing for the Sierra Club. She later spent a 10 years in management for a research pharmaceutical company. 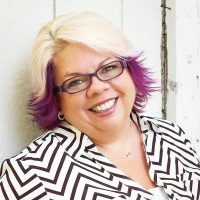 She now is an entrepreneur who for small business, teaches extra-curricular science courses to children and teens and is a certified teacher at her church, St. Paul’s Episcopal. Personal: Douglas is married to Kristy and has six children, Ashley, Abby, Andrew, Donovan, Kiernan and Teagan. 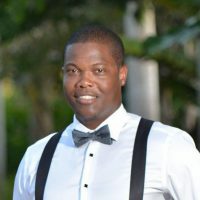 Background: Douglas has worked as database programmer, medical records keeper, a CFO, software designer, photographer and more. Personal: From Lawrence Township, Dugdale grew up in a blended family with four brothers and three sisters. Background: Dugdale graduated from Lawrence Township schools and from American University with degrees in international relations and Chinese studies. 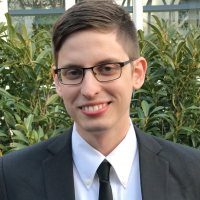 He has worked as a consultant and project manager for several small businesses and nonprofit organizations in Indianapolis, Washington, D.C., and Beijing. Personal: Born and raised in Beer-Sheva and later in Omer, Israel, Faraggi is a father of two. Background: Faraggi served three years in the IDF as support personnel for the engineering squad of the Golani brigade. 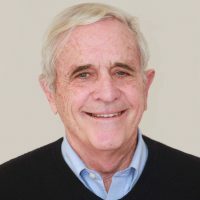 He later earned a bachelor’s in physics/mathematics from Hebrew University in Jerusalem, Israel, and a doctorate in physics from the University of Texas. He now teaches physics at IUPUI and Butler University. Personal: Moore is married to Jaime. Background: Moore graduated from DePauw University with a degree in religious studies and philosophy. After graduation, he worked for Eli Lilly & Co. 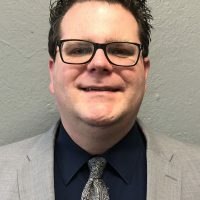 He also has worked as a ReadUP tutor through United Way of Central Indiana, has served as a board member for various nonprofits that look to reduce the use of and impact of opioids in Indiana. He also hosts a fundraiser for Riley Children’s Hospital and the Nurse-Family Partnership program. Personal: Thornton lives in Carmel with her husband of 33 years. She has three children and two grandchildren. She attends North Central Church of Christ. Background: Thornton graduated from the University of Louisville with a degree in communications and public relations. She has an MBA from Indiana Wesleyan University. 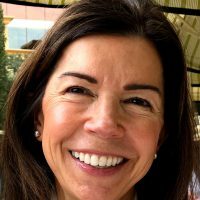 She works as a business coach and previously spent 30 years working for Xerox. She serves on the Carmel Mayor’s Advisory Commission on Human Relations. Personal: Delph is married to Beth. They are parents to Abby, Evelyn, Anna, Emma and Lilly. Background: Delph graduated from Carmel High School in 1988 and earned his B.A. in 1992, two master’s degrees in 1996 in environmental science and public affairs, and a law degree in 2010, all from Indiana University. He was first elected to the Senate District 29 seat in 2005 and was re-elected in 2006, 2010 and 2014. He also serves as a major in the U.S. Army Reserve, having served since 2001. Personal: Meyer is married to Nate and has two sons, Andrew and Will. They are members of Northview Church. Background: Meyer graduated from Boone Grove High School in northwest Indiana. 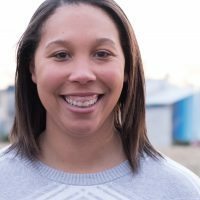 She earned her bachelor’s in landscape architecture and her master’s in urban and regional planning from Ball State University. 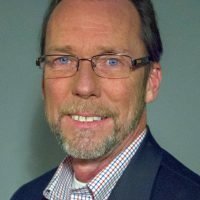 Meyer is president and CEO of Innovative Planning, a strategic planning firm. She also serves as president of Nickel Plate Arts in Noblesville. Personal: LaMotte is married to Stephen. Together they have three children, ages 11, 16 and 19. Background: LaMotte graduated from Noblesville High School in 1990. She earned her bachelor’s in speech communication and public speaking from Indiana University in 1995. She also is a graduate of the Indiana Hoosier Leadership Series and is an MRA member. LaMotte works as the director of Pro-Life Affairs for the Indiana Family Institute. She also is a member of Northview Christian Church in Carmel. Personal: Merritt is married to Kelley. They are parents to Abby, Jennifer and Will. 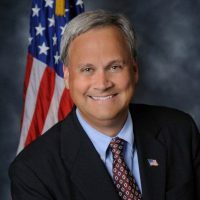 Background: Merritt received a bachelor’s in political science from Indiana University in 1981. 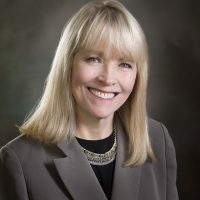 Merritt currently serves as vice president of corporate affairs for the Indiana Rail Road Company. He was first elected to the Indiana Senate in 1990. Personal: Beaver has been married to wife Trini for 28 years. Together they have three adult children. Throughout the years, he has been a basketball coach at the Boys & Girls Club of Noblesville. He also is a member of White River Christian Church. Background: Beaver graduated from Noblesville High School in 1977. After high school, he started his own heating and cooling business, Beaver Heating and Air Conditioning. He has served on the Hamilton County Council for the past 20 years. Personal: Bragg lives in Noblesville with his wife, Abigail. Background: Bragg graduated from Noblesville High School and Purdue University, where he earned a bachelor’s from the College of Technology. In 2013, he earned his license as an insurance producer. He works as an insurance producer and is an officer in the Army National Guard. Personal: Goodrich lives in Noblesville with his wife of 24 years, Tricia. Together they have four children, Kaitlyn, Kole, Kylie and Karson. He is a member of White River Christian Church. Background: Goodrich is the president of Gaylor Electric in Noblesville. 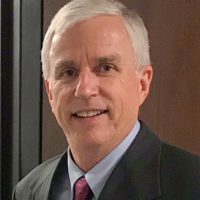 He serves as a board member for the National Center for Construction Education and Research, Riverview Hospital Foundation and Noblesville Youth Assistance Program. Personal: O’Connor has lived in Noblesville for three decades. He and his wife, Teena, have two children, Kerry and Evan. 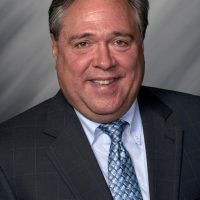 Background: O’Connor has served on the Noblesville Common Council for the past 10 years and is a senior vice president and director at BMO Harris Bank. 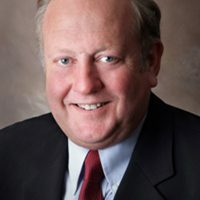 He also serves as a Riverview Health Foundation board member, Noblesville Chamber of Commerce Business Advisory member, Noblesville Schools Miller Ambassador, Noblesville Schools Education Foundation life member and Community Health Network Foundation Advisory Board member. Personal: Cole lives in Fishers with her husband, Randy. They are parents to AJ and Ally. Background: Cole graduated from Western High School near Kokomo and earned a bachelor’s in business from Indiana University and a law degree from Valparaiso University. She is a founding member of the Fraternal Order of Police Auxiliary in Gary, Ind., and is an executive committee member and vice president of the Sagamore Inn of Court. Personal: Linkmeyer resides in Carmel. He has a daughter, Madison, 19. Background: Linkmeyer graduated from South Ripley High School in 1980. 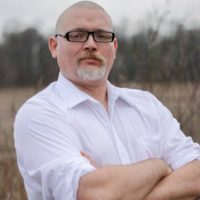 He earned a a bachelor’s degree from Akron University, a master’s from Ball State University and administrative licensure from Indiana Wesleyan University. He works in education and is a small business owner. 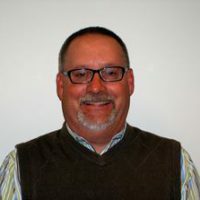 Linkmeyer is a member of Northview Church, is a Chaucie’s Place board member and is president of the Indiana Bulls Baseball board of directors. Personal: Torr has lived in Carmel since 1987. 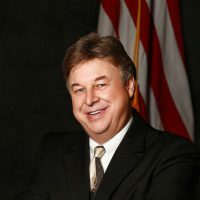 Background: Torr graduated from Greencastle Senior High School, attended Hanover College and graduated from the Musicians Institute in Hollywood in 1978. He has held the District 39 seat since 1996. He also is vice president of business development at Hamilton National Title in Carmel. Personal: Casati is married to Amy. Together they have three children, Andrew, 21, Austin, 19, and Sophia, 16. Background: Casati graduated from Lakewood (Ohio) High School in 1977, from Indiana University in 1981 with a bachelor’s, and from Indiana University’s McKinney School of Law in 1992. He works as owner and an attorney at Casati Law, LLC and holds memberships with the Indiana State and Hamilton County Bar Associations. 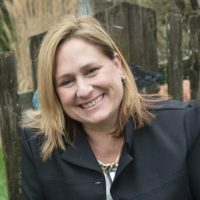 Casati also serves on the City of Carmel Plan Commission and is a parishioner at Our Lady of Mount Carmel Church. Personal: Heinzmann resides in Fishers with his wife, Suzanne. Together they have two daughters. 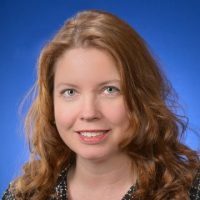 Background: Heinzmann attended Northwestern University and graduated with a law degree from Indiana University in 1993. 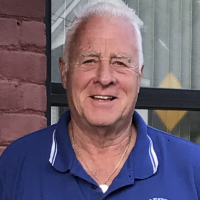 He served as a precinct committeeman for 24 years and recently was treasurer of the Hamilton County GOP Central Committee and chairman of the Hamilton County Election Board. Personal: Riley resides in Fishers with his wife, Kristen, and their son. Background: Riley graduated from North Central High School before earning a bachelor’s degree in history and political science and a law degree from Indiana University. 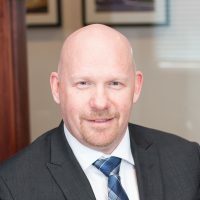 He is a principal managing member at Riley Williams & Piatt, LLC. Personal: Clifford resides in Westfield with his wife, Sheryl, and three children. He is a member of St. Maria Goretti Church. Background: A 1985 Carmel High School graduate, Clifford has served in law enforcement for 30 years. He is a sergeant with the Hamilton County Sheriff’s Office. Personal: Moore and his wife, Brenda, reside in Fishers and have four children, Dani, Caleb, Cody and Micah. Background: Moore graduated from Vero Beach High School (Florida) in 1980 and from Anderson University with a bachelor’s in biology. In 2013, he earned his master’s in organizational leadership from Northcentral University. 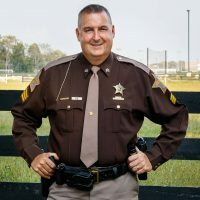 He has served in law enforcement in Hamilton County for more than 30 years and is a night shift commander in the patrol division for the Hamilton County Sheriff’s Office. Personal: Quakenbush lives in Cicero with his wife and four sons. He is a member of Genesis Church. Background: Quakenbush holds a master’s degree in business administration from Indiana Wesleyan University with an undergrad degree in business management. 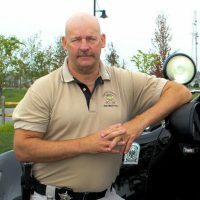 He has served in law enforcement for the past 15 years with the Hamilton County Sheriff’s Office. He is captain of the patrol division. Personal: Russell resides in Arcadia with his wife of 33 years, Melanie. They have four children, Abby, Amanda, Mollee and Matt, and five grandchildren. Background: Russell graduated from Hamilton Heights High School. His career in law enforcement began with the Arcadia Police Dept. in 1976, and he later worked for the Noblesville Police Dept. before the Hamilton County Sheriff’s Office, retiring in 2006 after 28 years of service. He served as town marshal of Arcadia until the end of 2012. He works as security manager for Riverview Health. Russell also is a 16-year member of the Arcadia Town Council. Personal: Altman is married with three children and two grandchildren. Background: Altman graduated from Northrop High School (Fort Wayne) in 1973, from the Indiana University School of Business and Accounting in 1978, and from the Indiana University School of Law in 1981. She works as an attorney at Altman Poindexter and Wyatt, LLC and is the Hamilton County Commissioner for District 1. 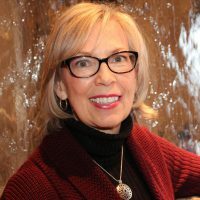 Altman Serves on the Conner Prairie Board of Directors, Indiana Commission for Women, Central Indiana Regional Transportation Authority and the U.S. 31 coalition. 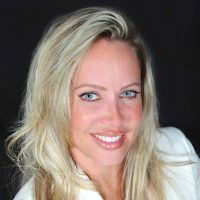 She is a co-founder of Hamilton County Leadership Academy and is a member of the Carmel Clay Chamber of Commerce, Inc. Personal: Milam resides in Carmel with his wife of 25 years. Together they have two children. He attends East 91st Street Christian Church. 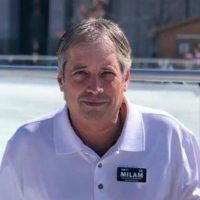 Background: Milam has served as a precinct committeeman since 2008 and previously served on the Carmel-Clay Fire board as secretary. He also has been committee chair for Boy Scout Troop 733 since 2012 and has a career in the logistics industry. Personal: Glynn resides in Carmel with his wife of 14 years, Beth, and their daughter. Background: Glynn earned a bachelor’s in aviation business from Embry-Riddle Aeronautical Univeristy. He works as a mortgage banker and serves on the Hamilton County Council. Personal: Maki lives in Carmel with her husband of 35 years, Tom. Together they have two children, David and Michael, and have been host parents to six exchange students. She is a member of Carmel United Methodist Church. Background: Maki attended Baldwin-Wallace College and earned her master’s from Anderson University. She works in public relations and community education for Carmel Utilities. 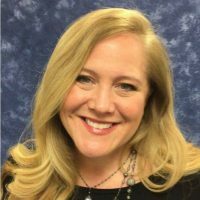 She also has served as PTO president for Carmel Middle School and president of the Carmel Rotary Club. Personal: Schwartz is married to Lori and has two children, Pete, 35, and Ed, 31. Background: Schwartz graduated from Shawnee Mission East (Kansas City, Kan.) in 1979. He is self-employed at Schwartz, Inc. and also serves on the Hamilton County Community Corrections Advisory Board, the Janus Developmental Services board and is Hamilton County Council president. Personal: Hall has been married to Lisa for 39 years. Together they have three children, Amber, 34, Ashley, 31, and Alyssa, 31. They also have five grandchildren, with one due during election week, and four Australian shepherds. 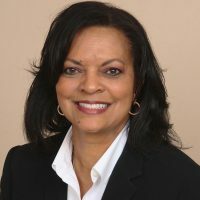 Background: Hall graduated from Robinson High School in 1978, from Lincoln Trail College with a degree in information technology and business in 1980, and from IUPUI with a degree in business administration. He is CEO at TalentLogistiX, Tech Trades and PinPoint Resources. Hall also is involved with Truth at Work, Harbour Shores Church, Shepherd Community Center, Save the Train and Save the Nickel Plate. Personal: Hawk lives in Noblesville with his wife, Breanne. Together they have two daughters, Juliana, 4, and Isla, 1. Background: Hawk graduated from Center Grover High School in Greenwood. 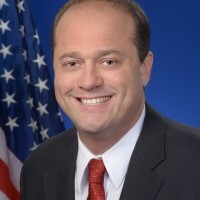 He earned a bachelor’s degree in political science from Purdue University and a master’s degree in business administration from Butler University. Hawk has worked for the state of Indiana for the past nine years in various financial management roles. Personal: Werling is married with two children, Leighanne, 45, and Nate, 31. 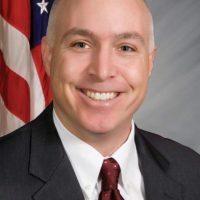 Background: Werling graduated from Speedway High School, from Indiana University with a bachelor’s in education and from Butler University with a master’s in administration. He is retired and is a local Moose Lodge member, Indiana State Teachers Association member and Indianapolis Business Network member. He also has been awarded as Teacher of the Year, Citizen of the Year and a county baseball championship outstanding team member. Personal: Alexander lives in Westfield with his wife, Jennifer. Together they have three children, Andy, 14, Katelynn, 11, and Connor, 9. Background: Alexander graduated from Osbourn High School in Manassas, Va., and from Purdue University with a bachelor’s in construction engineering and management in 1996. 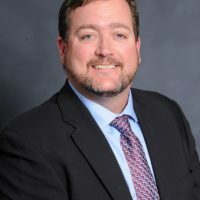 He also is a 1998 graduate of the Hamilton County Leadership Academy and a 2012 graduate of Indiana University’s Kelley Executive Leadership Program. 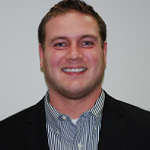 Alexander works as vice president at CTI Construction in Carmel. He holds memberships at St. Christopher’s Episcopal Church, the Westfield Mayor’s Breakfast Committee for Boy Scouts of America’s Crossroads of America Council, the Industry Outreach Committee for Indiana Construction Roundtable, Marian University’s S2L3 Fundraising Committee and the Indiana Subcontractors Association. Personal: Born in Kingston, Jamaica, Barnes lives in Carmel with his wife and four children. Background: Barnes works in the information technology field. Personal: Pauley has three children, Daniel, Susan and Samantha. She also is an active member of Our Lady of Mount Carmel Catholic Church. Background: Pauley is a graduate of Michigan State University with a degree in materials logistics management. She formerly worked for the Dept. of the Navy as part of the Naval Air Systems Command and Naval Avionics Center. She is clerk-treasurer for the City of Carmel. Personal: Sharp lives in Carmel with his wife, Susan. Together they have three daughters. Background: Sharp earned a bachelor’s degree in political science from the University of Florida. 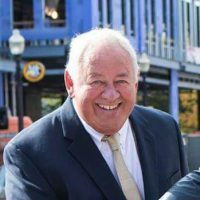 He formerly served as a member of the Carmel City Council from 2004 to 2015, where he served as president six times. Personal: Bolin lives in Carmel with his wife, Ann. Background: Bolin is a graduate of Carmel High School and Indiana University, where he earned a bachelor’s in marketing and advertising. 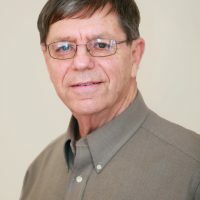 He was elected to the Clay Township Board in 1992. 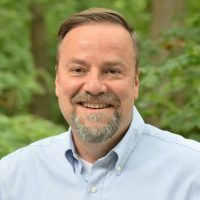 He has formerly served on the Carmel Dads’ Club board, the joint library board with Carmel Clay Schools and the Carmel Parks Board. He works as the vice president of sales and marketing for Kennedy Tank & Manufacturing. Personal: Born in Grand Rapids, Mich., Eckard lives in Carmel with her husband. She has two children and two grandchildren. Background: Eckard was elected to the Clay Township Board in 1998. 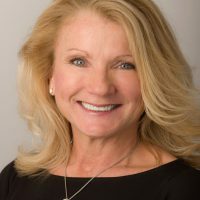 She is active in the local chamber of commerce, Kiwanis Club, Carmel Symphony Orchestra, Carmel Clay Library Foundation Guild and the Carmel Police Dept. Citizens Academy. She works as a real estate broker. 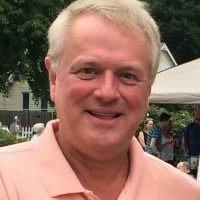 Background: Hensel graduated from Carmel High School in 1977 and from Marian College (now Marian University) in 1982 with a bachelor’s in business administration. He works as a relationship manager at Indiana Members Credit Union. He attends Pleasant Grove United Methodist Church, where he serves as a trustee and chairman of the finance committee. 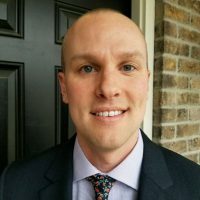 He also serves on the board of directors for the Carmel Dads’ Club and is a 2006 graduate of the Hamilton County Leadership Academy, where he has served on the board of directors as treasurer, vice president and board president. Personal: Snyder lives in Carmel with his wife, Ashlee. He is a parishioner at Our Lady of Mount Carmel Catholic Church and is an active member of the Columbia Club. Background: Snyder graduated from Carmel High School and attended Purdue University. He formerly served on the Noblesville Township Board and is a precinct committeeman. He works in the inspection department for American Structurepoint and also works in property management. Personal: Colbert lives in Fishers. Background: Colbert earned a bachelor’s in journalism and a master’s in information and communication sciences, both from Ball State University. She serves as the communications chair for the Indiana Women’s Political Caucus. She currently works as a project manager. Personal: Nelson is married to Pamela. They have six children, Dustin, Kyle, Brian, Kelsey, Brett and Kendall. Background: Fain graduated from Mishawaka Marian High School in 1977 and attended Indiana University. 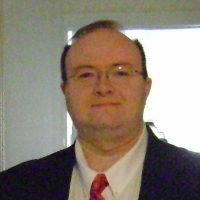 He is the secretary of the Delaware Township Board and works as a technology advisory for data and voice networks at Van Ausdall & Farrar, Inc. Personal: Giffel lives in Fishers with his wife, Toni. Together they have two children, Tyler, 27, and Allie, 25. Background: Giffel graduated from Woodlawn High School in Baton Rouge, La., and earned a bachelor’s in business from Louisiana State University. He currently works for Klöckner Pentaplast of American in manufactured plastic technical films sales and marketing. 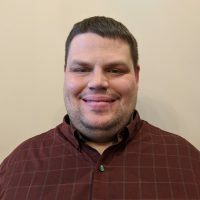 Giffel serves as the treasurer for Fiscal Conservatives of Hamilton County, chairman for the International Organization of Packaging Professionals Central Indiana Chapter, secretary of the Pine Bluff Overlook Association and Stephen Minister at t. Louis de Montfort Catholic Church. Personal: Pierce is married to Dorothy. They have four children. Background: Originally from North Carolina, Pierce retired from the Air Force after 21 years and worked for Roadway Express for 20 years. He sits on the Delaware Township Board and has for the past 12 years. He is a member of Hamilton Lodge No. 533, has worked for the Fishers Freedom Festival and previously served on the Cottingham Estates HOA board. In 2013, Pierce was awarded as the 2013 William D. Kehl, Jr. Volunteer of the Year and Township Board Member of the Year by the Indiana Township Association. Personal: Schenkel is married to Doug. They have three children, Patrick, 30, Morgan, 26, and Josh, 22. 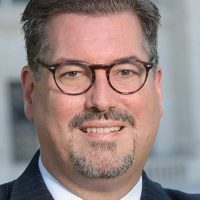 Background: Schenkel graduated from Hobart High School In 1980 and from Indiana University in 1984 with a degree in finance. 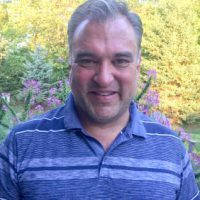 Schenkel currently sits on the Delaware Township Board and is a member of Tri Kappa, IAAO and the St. Louis de Montfort Funeral Committee. Personal: Allman has been married to Shelly for 36 years. Together they have two children, Denny, 29, and Darcy, 26. Background: Allman graduated from Richmond High School in 1975 and earned a bachelor’s in business from Indiana University in 1982. He currently serves as the Fall Creek Township trustee and is a territory manager for Dot Systems, Inc. He also is a member of Hoosier Outdoor Writers, the Indiana Wildlife Federation, the Indiana Sportsmen’s Roundtable and Fishers and Hamilton County GOP clubs. Personal: Slota is married to Jenny. They have three children, Adam, 15, Owen, 13, and Molly, 10. 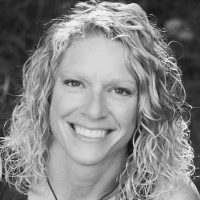 Background: Slota graduated from Bloomington High School South in 1992 and from Indiana University with a degree in kinesiology. He works as a firefighter for the Indianapolis Fire Dept. He also is a founding member of the United States Society for Youth Soccer (USSYS). Personal: Baehl is married to Shelly. They have two children, Nicholas, 18, and Brianna, 16. Background: Baehl graduated from Castle High School and from the University of Evansville in 1986 with a degree in electrical engineering. He works as a computer engineer at a biomedical company. Baehl sits on the Fall Creek Township Board and is an assistant Scoutmaster for Boy Scouts of America and a volunteer with Hamilton Southeastern Schools. Personal: Brown is married to Kristen. Background: Brown graduated from R. Nelson Snider High School in Fort Wayne in 2003. 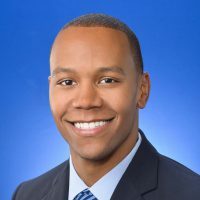 He also graduated from IPFW in 2008 with a bachelor’s in criminal justice and from Indiana University’s Robert H. McKinney School of Law in 2015. He currently works with the Indiana Dept. of Education as its director of legislative affairs. Brown also is a Windermere HOA board member. Personal: Greg Dewald has lived in Fishers for 19 years. He is married and has two children, Megan, 16, and Jacob, 12. Background: Dewald has worked as a police officer for more than 20 years, the past 14 1/2 of which have been with the Carmel Police Dept. He works as the the school resource officer at Clay Middle School. He also is a board member for the Indiana School Resource Officers Association. Personal: Garrard has been married to Kara for 17 years. Together they have two children, Grady, 12, and Gretchen, 9. Background: Garrard graduated from Valparaiso High School in 1994 and attended Wabash College, where he studied psychology and English. He works as a principal at Insurance Advisors, Inc. and is secretary for the Fall Creek Township Board. 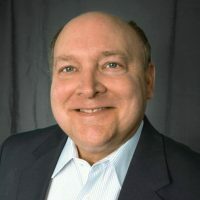 Garrard also serves on the Fishers Parks Advisory Committee, is a GOP precinct committeeman for Fall Creek Precinct 20, is the former president of the Tanglewood Property Owners Association, and is a former member of the Fishers Station Kiwanis Club. Personal: Meyer lives in Fishers with his wife, Nicole. Together they have two daughters, Claire and Lydia. They are active members of East 91st Street Church. Background: Meyer graduated from Carmel High School in 1987. He attended Ball State University and Purdue University. 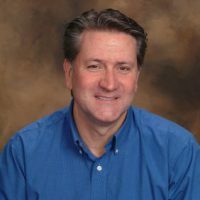 He currently serves on the Fall Creek Township Board and is a partner a VAI Technology in Fishers. Personal: Arrowood lives in Noblesville with his wife, Jo Ellen. They have two children and five grandchildren. Background: Arrowood graduated from East Tennessee State University. He is the president of the Noblesville Township Board. 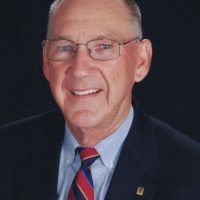 He worked for the Boys & Girls Club of Noblesville for more than 35 years, 22 of which he served as executive director. 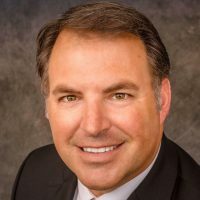 He also formerly worked as a real estate agent and was the executive director of Noblesville Main Street for nine years. 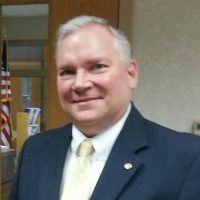 He is a past president of the Kiwanis Club and current president of the Noblesville Lions Club. Personal: Busby has lived in Noblesville for more than 40 years. He has one son, Lance, and a daughter, Kelli. Background: Busby graduated from Indiana State University, earned his master’s in education from Ball State University and later attended Butler University. He taught at Noblesville High School for 35 years and was a coach of swimming, cross country and track. He also served 18 years as the superintendent of Hamilton County Parks and designed the aquatic centers at both Forest Park and Noblesville High School. He previously sat on the Noblesville Common Council for 25 years. 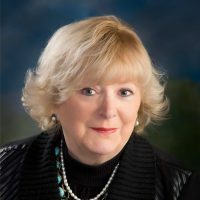 Busby is secretary for the Noblesville Township Board. Personal: Davis is married to Stacy. They have two children, Kelley, 43, and Brett, 33. Background: Davis graduated from Greenfield-Central High School in 1970, from Indiana University in 1975 with a bachelor’s in education and from Christian Theological Seminary in 2003 with a Master of Divinity degree. He is a retired pastor and has worked for the past eight years as the senior pastor at First Christian Church in Noblesville. Personal: A Noblesville resident for more than 50 years, Pfister has three children, Scott, Lauri and Brian, and five grandchildren. 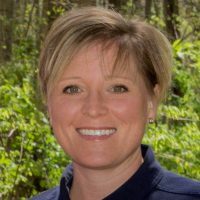 Background: Pfister earned a master’s in counseling from Butler University and a bachelor’s in education from Purdue University. She previously served as Hamilton County Assessor, assistant director of the Hamilton County Highway Dept. and as a deputy in the Hamilton County Auditor’s Office. She currently sits on the Noblesville Township Board. Personal: Originally from Mooresville, Easterhaus has lived in Westfield for 23 years. She is married to Ryan. Together they have four daughters. 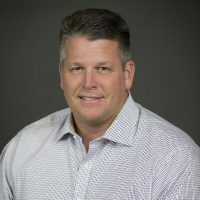 Background: Easterhaus graduated from Mooresville High School in 1987 and from Ball State University in 1991 with a bachelor’s in industrial technology engineering. She is seeking her master’s in business administration at Indiana University. Easterhaus is the executive director and of Student Impact of Westfield. She previously worked for Delphi Automotive for 17 years as a vehicle systems engineer. In 2017, she was named Westfield Citizen of the Year. Easterhaus also holds memberships with Kiwanis of Westfield, the Downtown Westfield Neighborhood Association, Westfield Autism Team, The Rock of Support, Westfield Chamber of Commerce and is a graduate Hamilton County Leadership Academy and Westfield Police Citizens Academy. She volunteers with Open Doors, Westfield Welcome, Northview Church of Westfield and Food Rescue for Westfield and Westfield schools. Personal: Fortier has been married to Bill for 19 years. She has two sons, Stephen and Jason, and five grandchildren. 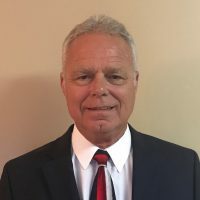 Background: Fortier graduated Northwestern High School in Kokomo, in 1969 and from Indiana Wesleyan University in 2004 with a bachelor’s in business administration, with a minor from Purdue University in electrical engineering. 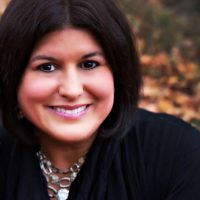 She works as the director of event planning for Grace Church in Noblesville. She is a member of Westfield’s Spring Mill Task Group, commissioner for the Westfield Fire Merit Board, pro-tempore for the Westfield Board of Zoning Appeals, a retiree active member for UAW Local 292 and is a volunteer with the Westfield Farmers Market, Grace Care Center and Choice Food Pantry, and formerly the Indiana Arts Council. Personal: Gill is married to Mary Ellen. Together they have five children, David, 43, Trenton, 42, Moira, 40, Bridget, 37, and Mark, 35. Background: Gill graduated from St. Thomas High School in Rockford, Ill., in 1958, from the University of Illinois with a bachelor’s in business in 1962, and from Bradley University with a master’s in 1972. He was in the military for 15 years, retiring as a master sergeant. Gill retired from GTE after 36 years and is a member of Our Lady of Mount Carmel Catholic Church. 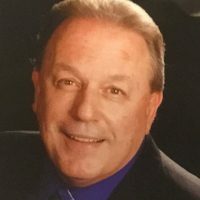 He formerly served as Washington Township Trustee for the 16 years and is president of the Washington Township Board. Personal: Hardcastle is married to Sheila. Together they have a 16-year-old daughter, Snezhana. Background: Harcastle graduated from Oak Hill High School in 1984. He earned a bachelor’s in history and political science from Indiana State University in 1988. He later earned a master’s in public administration in 1992 and a masters in history in 1993 from Indiana State University. 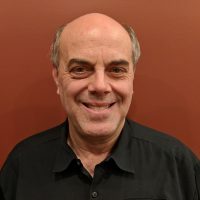 He works as a customer care specialist at The Hartford and also preaches monthly at churches in Delphi and Normal and is a deacon at Gadsden Church of Christ. Personal: London is married to Chris. They have four daughters, Leslie, 24, Kristin, 21, Olivia, 18, and Hallyn, 14. 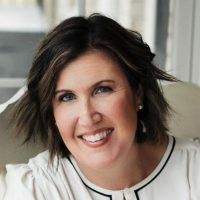 Background: London graduated from Assumption High School (Louisville, Ky.) in 1985 and from Bellarmine University in 1990 with a bachelor’s in communications. She is the program coordinator for Smoke-Free Hamilton County and holds memberships at St. Maria Goretti Catholic Church and Hamilton County Republicans. Personal: McKinney has been married to Rick for 36 years. Together they have three sons, Zach, 33, Daniel, 28, and Sean, 20. Background: McKinney graduated from Orchard Park High School in Orchard Park, N.Y., in 1977, and then from Butler University in 1981 with a bachelor’s in business administration. She works as an IT analyst for Eli Lilly & Co. and attends Grace Community Church. Personal: Southerland is a lifelong resident of Washington Township. He is married to Tamra, and together they have three children. Background: Southerland attended the Westfield school system and Indiana University. He became a volunteer firefighter in 1975. He retired from the fire department in 2012 and is now the facilities coordinator for the City of Westfield. Personal: Strahm is widowed and has four children, Will, 14, Lucy, 12, Sam, 10, and Charlie, 4. 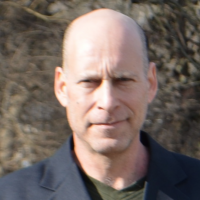 Background: Strahm graduated from Gilmour Academy (Gates Mills, Ohio) in 1991 and from Indiana University with a bachelor’s in speech communication in 1995. 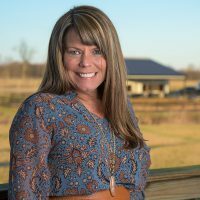 She also is in the beginning stages of founding her company, Helpful Hoosier, LLC, a life assistance and personal concierge company for people in Hamilton County. 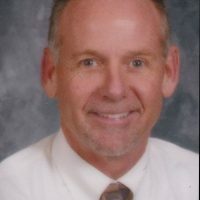 Strahm is co-president of the Westfield intermediate School and Westfield Middle School PTO. 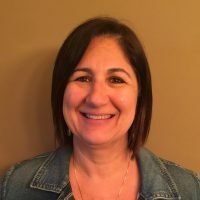 She also is a member of the Westfield Washington Schools District PTO, a member of the Westfield Washington Schools Key Communicator Committee, a patroness of the National Charity League, a volunteer for Westfield Food Rescue and a member of Orchard Park Presbyterian Church. Personal: Ailor has been married to Kurt for 18 years. Together they have a son, Kohl. 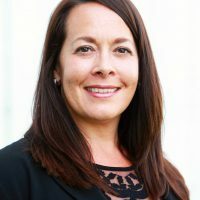 Background: Ailor graduated from Northwestern High School in 1989, attended Purdue University and is enrolled at Southern New Hampshire University, where she is studying public administration. She is an auxiliary member of the American Legion Post 155 and a lifetime auxiliary member of VFW Post 10003. Ailor also is a WIMS PTO member and is a past president of the Monon Trail Elementary PTO. Personal: Carey Tolan is married to Andrew. They have a son, Ezra, 12. Background: Carey Tolan graduated from Westfield Washington High School in 1996 and studied interior design and psychology. She holds memberships on boards of the Westfield Economic Development Foundation, Westfield Youth Assistance Program, Open Doors of Washington Township, Westfield ROCK of Support Advisory Committee, Riverview Hospital Women of Vision Committee, Grand Junction Task Group, Hamilton County GOP, Hamilton County Republican Women’s Club, Westfield GOP, 100+ Women Who Care in Hamilton County, Indiana Women in Agriculture, Indiana Rural Caucus, and is co-chair of the Indiana Township Association Conference. She serves as Westfield Washington Township Trustee. Personal: Hiday is married to Donna and has two sons. Background: Hiday graduated from Hamilton Southeastern High School in 1973. He is the owner of Automotive Specialists and Express Wrecker Service. Hiday also is an elder at Refuge Christian Church. Personal: Hiday is married to Rebecca. Together they have an 18-month-old daughter. 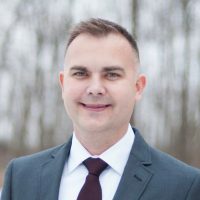 Background: Hiday graduated from Hamilton Southeastern High School in 1999 and from Trine University in 2004 with a bachelor’s in mechanical engineering. Personal: Mahan is married to Doyle. They have six children, Sheena, Shayla, Joshua, Jarod, Heather and Jayden. Background: Mahan graduated from Basalt High School (Basalt, Colo.) and from Colorado Mesa University. She serves on the Wayne Township Board and works for Eli Lilly as a consultant for quality assurance. 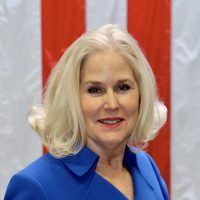 She also has served the community as a precinct committeeman, as Wayne Township Republican Party chair and is involved with Family Promise of Hamilton County. Personal: McNamara is married to Scott. They have two children, Evan, 19, and Celia, 16. 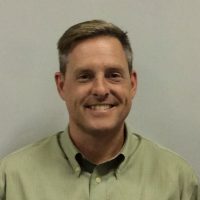 Background: McNamara graduated from Anderson High School in 1985, from Purdue University in 1993 with a bachelor’s in biology and from the North American Montessori Center in 2005. She works as a Montessori math teacher at Country Children’s House. 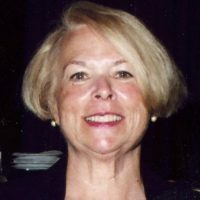 McNamara also is a board member and shopping coordinator at Hamilton County Harvest Food Bank.